Sources tell the AP the NCAA infractions committee panel handling North Carolina's multi-year academic case plans to release its ruling Friday. The NCAA – which oversees athletics at universities across the nation – did hand down penalties against the chair and secretary of the UNC department at which these courses were offered. But the panel concluded that because these classes were open to more than just student athletes, it could not punish the university as a whole. “While student-athletes likely benefited from the so-called ‘paper courses’ offered by North Carolina, the information available in the record did not establish that the courses were solely created, offered and maintained as an orchestrated effort to benefit student athletes,” said Greg Sankey, the panel’s chief hearing officer and commissioner of the Southeastern Conference, in a statement. 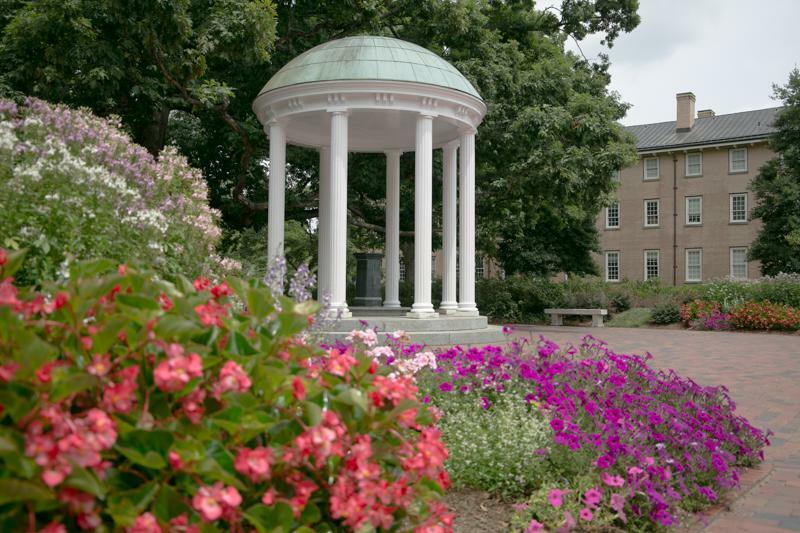 According to the NCAA report, released Friday morning, the case involved allegations that UNC "provided student-athletes with extra benefits through special access and course assistance, including heavy involvement from the former department chair and a former curriculum secretary." The NCAA panel noted that determining academic fraud was out of its purview, something UNC has argued for months. The panel did find the academic department's former chair and secretary did not cooperate in the investigation. FILE - From left, in Aug. 16, 2017, file photos, University of North Carolina Chancellor Carol Folt, Southeastern Conference Commissioner Greg Sankey, University of North Carolina athletic director Bubba Cunningham, University of North Carolina basketball coach Roy Williams, University of North Carolina football coach Larry Fedora and University of North Carolina women's basketball coach Sylvia Hatchell arrive at an NCAA hearing in Nashville, Tenn. In a statement release Friday afternoon, UNC Chancellor Carol Folt said she is grateful the case has been resolved. The ruling comes roughly eight weeks after UNC appeared before the infractions panel in August in Nashville, Tennessee, for a two-day hearing that included Chancellor Carol Folt, athletic director Bubba Cunningham, men's basketball coach Roy Williams, football coach Larry Fedora and women's basketball coach Sylvia Hatchell. The school faced five top-level charges, including lack of institutional control. In an afternoon press briefing, UNC Athletic Director Bubba Cunningham said UNC's behavior didn't "quite fit into a bylaw or a rule or something." "We're not proud of the behavior, but we didn't think it violated the bylaw, and today the committee on infractions revealed to us that they came to that same conclusion," Cunningham said. UNC has challenged the NCAA's jurisdiction, saying its accreditation agency — which sanctioned the school with a year of probation — was the proper authority and that the NCAA was overreaching in what should be an academic matter. 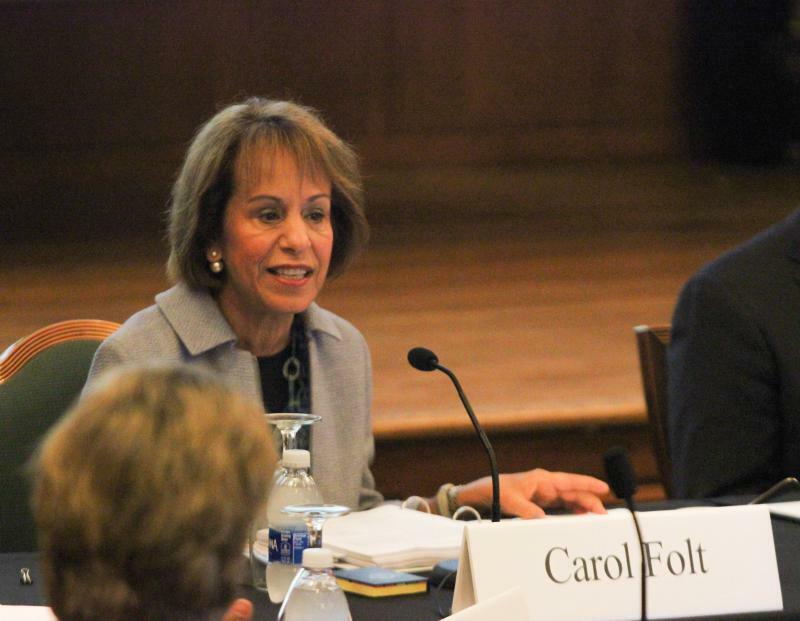 Chancellor Folt on Friday said resolution of this case is part of a larger effort working with administrators, faculty and staff across campus, as well as with the Southern Association of Colleges and Schools Commission on Colleges, UNC’s accrediting agency. She said UNC has developed more than 70 reforms and initiatives, including some in the areas of academic advising and academic oversight. “We continue to devote extraordinary resources to monitoring and refining these reforms and initiatives that have already have had such a profound impact on our University,” Folt said. Reporter Rusty Jacobs and the Associated Press contributed to this report.